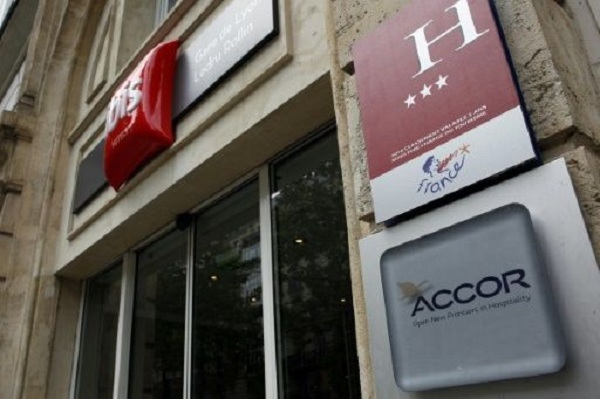 France's AccorHotels hopes to add Mantra to its portfolio big-name brands including Ibis, Pullman, Novotel and Sofitel. SYDNEY - France's AccorHotels has made a Aus$1.17 billion (US$910 million) bid for one of Australia's biggest hotel operators, the Mantra Group, the local company said Monday in a move that sent its share price soaring. Mantra, which operates more than 20,000 rooms in Australia, New Zealand and Indonesia, said it had received an offer of Aus$3.96 cash per share, valuing the firm at Aus$1.17 billion. "Mantra has granted Accor access to due diligence to determine if a transaction can be agreed and recommended unanimously by the Mantra board," the Australian-listed company said in a statement. "The discussions are incomplete and any entry by the parties into binding transaction documents remains subject to a number of conditions." The conditions include regulatory approval and support for the proposal by the firms' boards. Shares in Mantra jumped 16.87 percent to Aus$3.78 in afternoon trade. The Australian company operates a variety of properties, from resorts to serviced apartments under three brands -- Peppers, Mantra and BreakFree -- and has more than 5,500 staff. Mantra in August reported net profit after tax of Aus$45.6 million for the year to June 30, a 22.7 percent increase from the previous corresponding period. AccorHotels includes the Sofitel, Pullman, Novotel, Mercure and Ibis chains. It operates 4,200 hotels with 600,000 rooms worldwide. France's AccorHotels has made a Aus$1.17 billion (US$910 million) bid for one of Australia's biggest hotel operators, the Mantra Group, the local company said Monday in a move that sent its share price soaring.